Sally Ward can finally tick off a show hunter series win with her victory in the Gyro Plastics Junior High Points aboard Paradox. 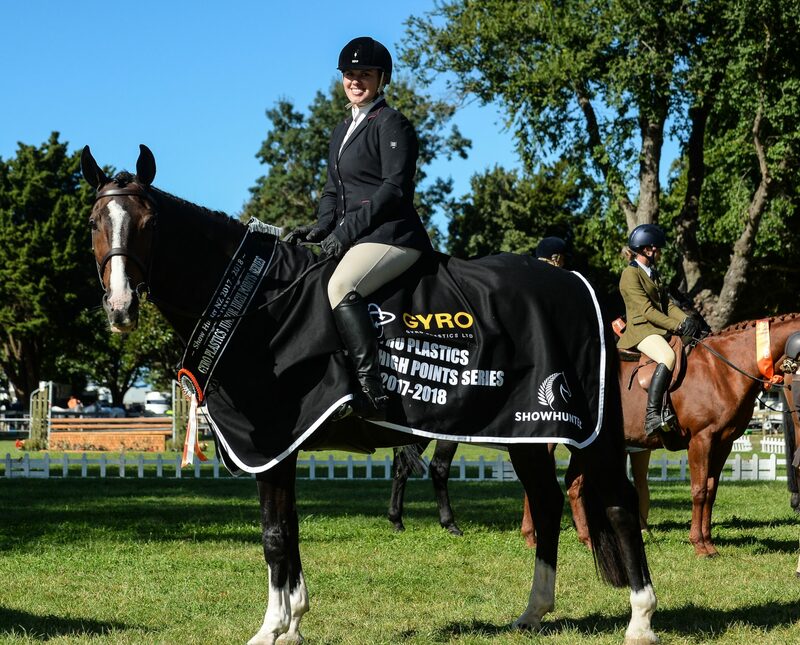 The 18-year-old from Waipukurau has been consistently in the top three in recent years but the series crown was always the goal. “I have been working towards it so to get there is really special,” says Ward. She’s had Oscar – as he is known by most – for four years and in that time they’ve formed a solid partnership. She credits her good results to her trainers Monica Oakley, Mary Peterson, Chrissie Beatson and Gail Goodwin. This is her last season chasing series points as she is in her first year of a Bachelor of Business at Massey University but she and Oscar will still make the odd show hunter outing. Twelve-year-old Oscar adores both of the women and is very much a part of the family. Ward and Paradox were also second in the NRM Open High Points, just two points behind winner Laura Van Velthooven and Sirocco Daisy. GYRO Plastics Junior High Points Series: Sally Ward, Paradox 68 points 1, Sophie Scott, Benrose Rockstar 56 2, Georgia Allison, Samari Lady 49 3, Antonio Matangi, Shoeshine Polish 39 4.